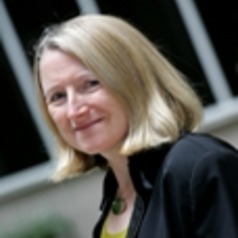 Gill moved to Australia in August 2012, following a career in the UK in energy policy, regulation and consumer affairs. She has a joint part-time appointment between MSI and the Business and Economics Faculty. Gill has published extensively on energy efficiency policy, the scope for electricity demand response and smart meters - these issues, plus economic regulation of the energy sector, will be her main research interests at Monash. She is currently undertaking work on the impacts of demand response initiatives (including time varying pricing) on low income and vulnerable households. Gill is also a member of the Australian Energy Regulator's Consumer Challenge Panel. Vice Chair of the UK Government's Fuel Poverty Advisory Group. She was a Commissioner of the UK's Competition Commission for ten years until 2002 and was also previously a non-executive board member of Ofgem. Gill continues as a part time Senior Research Fellow with the Energy Institute, University College London and is also an Associate Fellow of Warwick Business School (she continues to be involved in delivering the module on Energy Policy and Regulation that she developed for the Warwick Global Energy MBA).